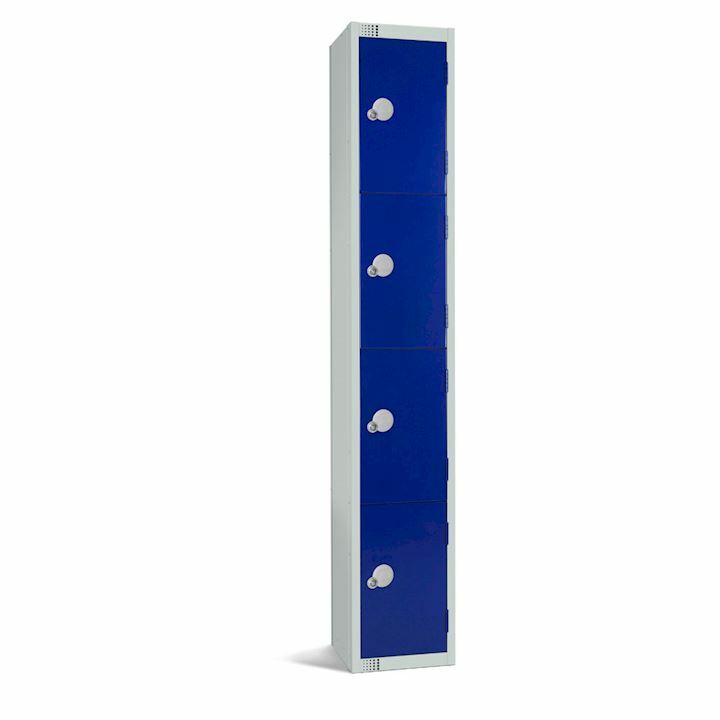 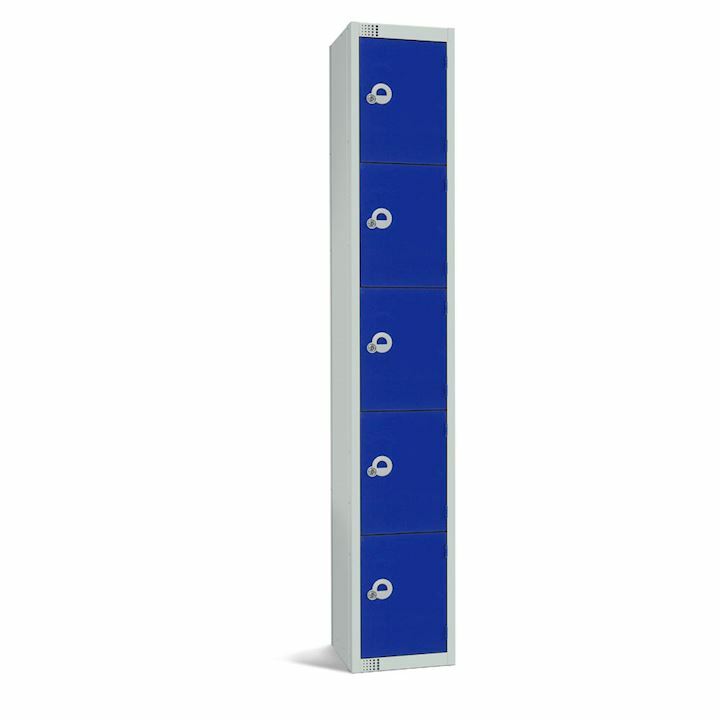 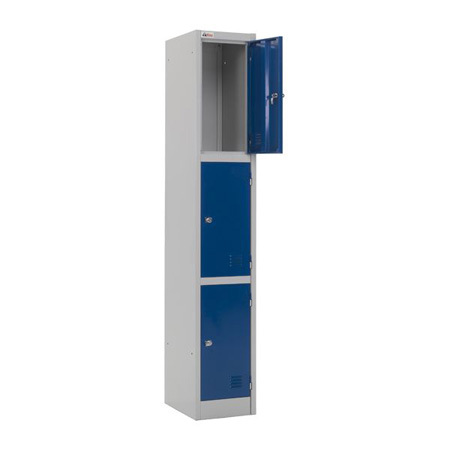 A full range of metal lockers suitable for providing storage solutions in indoor dry environments such as schools, gyms, factories, offices and the workplace. 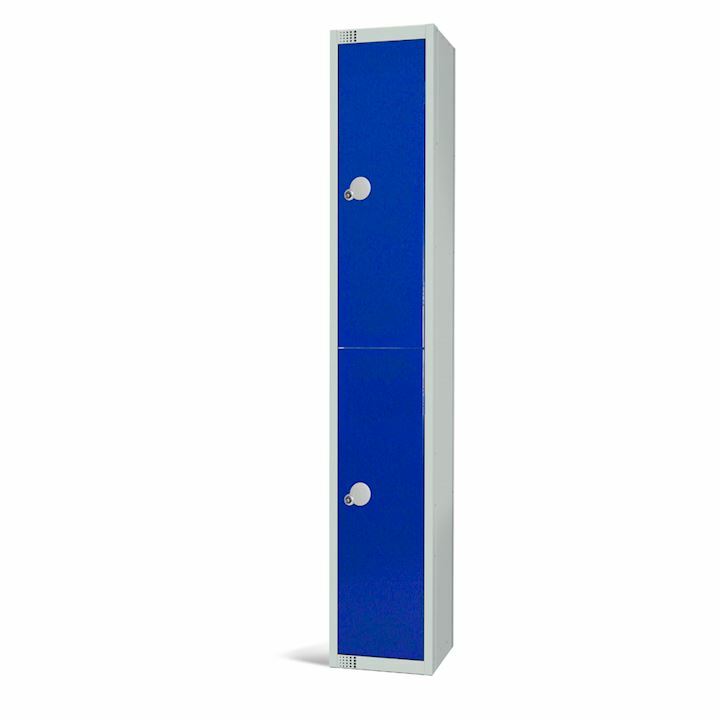 You can buy online or by quotation and for larger projects we offer quantity discounts. 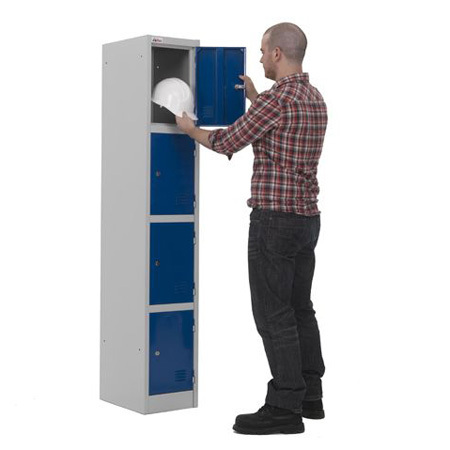 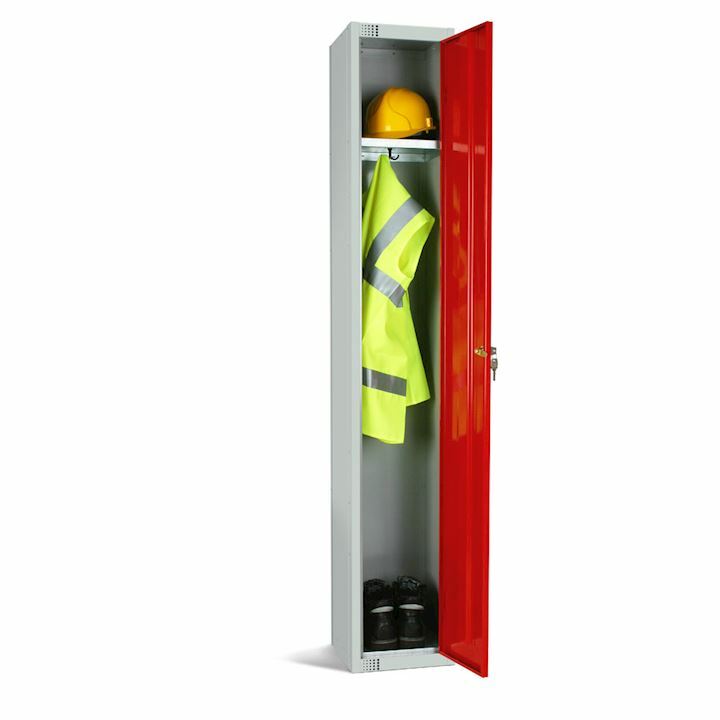 Our metal lockers are manufactured to BS4580, and have added security features. 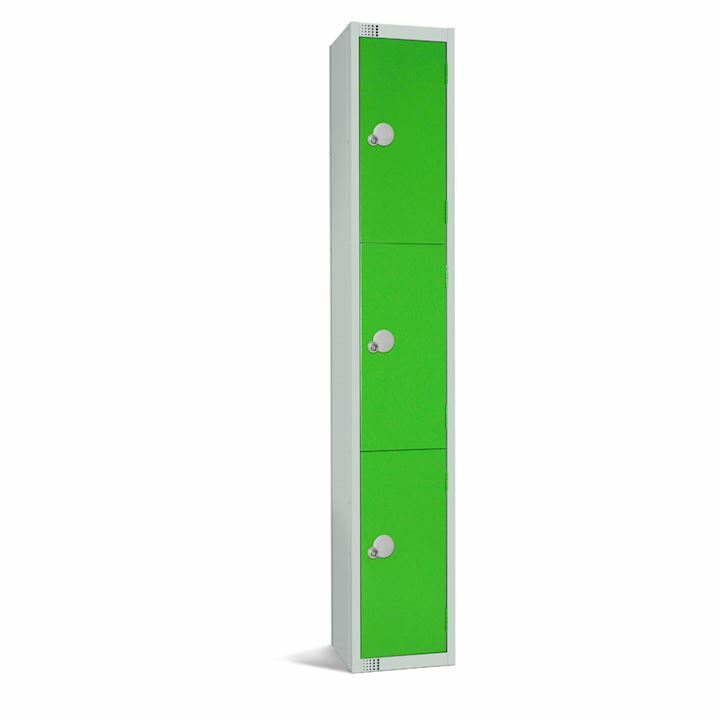 These features such as stiffened doors and inter frame locking as well as antibacterial paint finish. 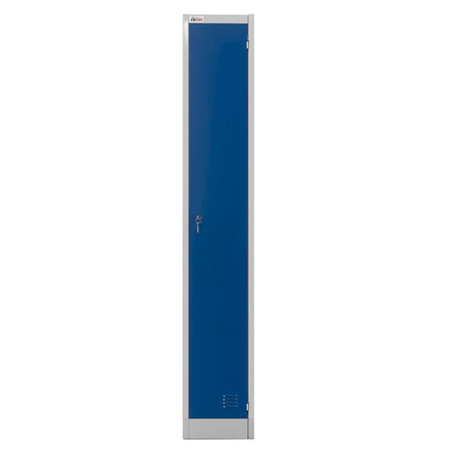 This prohibits the growth of bacteria such as E Coli and Salmonella. 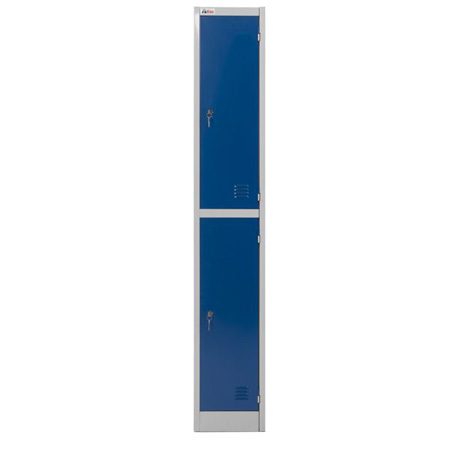 You can choose from our most popular single door locker right up to our 16 compartment locker. Whatever you are wanting to store inside your locker, we're sure you'll find the perfect metal locker right here in this section. 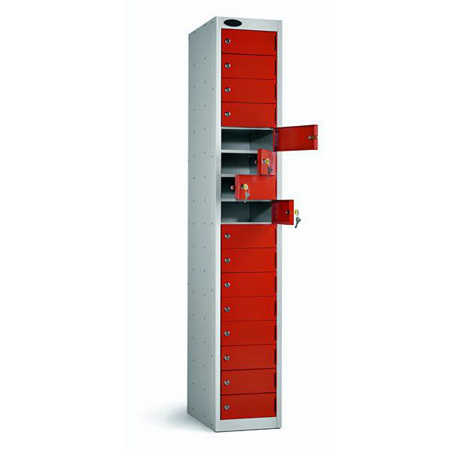 Metal Lockers ordered in Nests Save Time and Money. 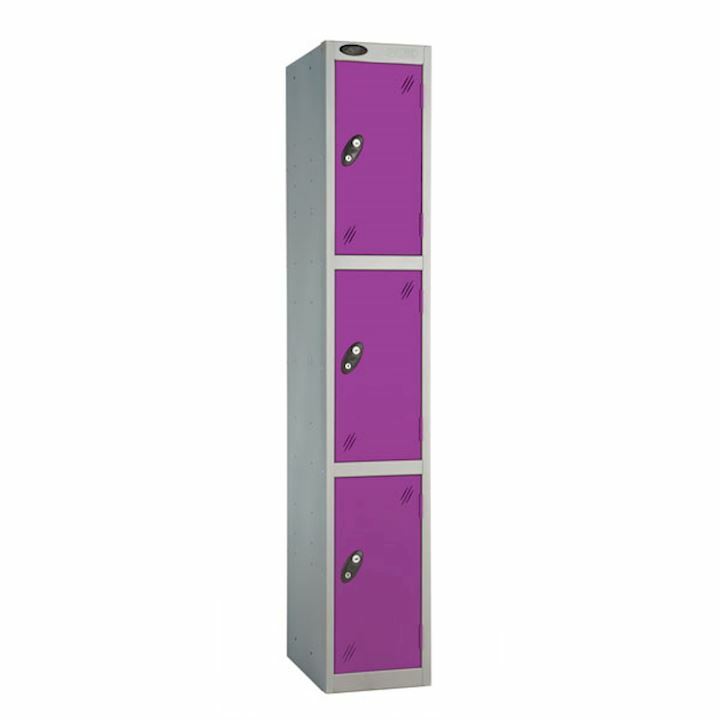 Nesting metal lockers together side by side in manufacture not only saves on cost but also on installation time too. 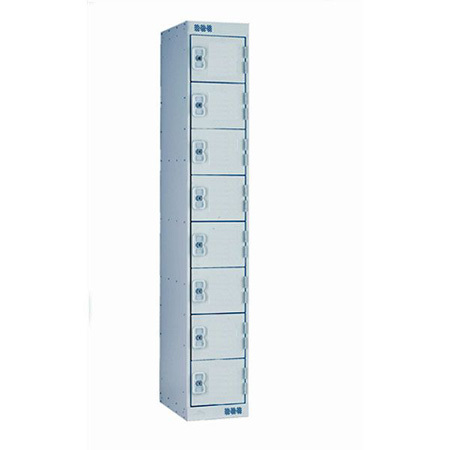 When creating runs of metal lockers it is always best practice to join each locker together to form a solid and uniform bank of lockers. 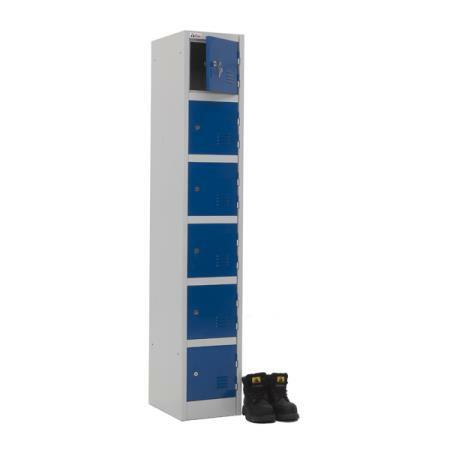 This not only helps to keep the lockers neatly in line but also increases the height to depth ratio of the lockers. 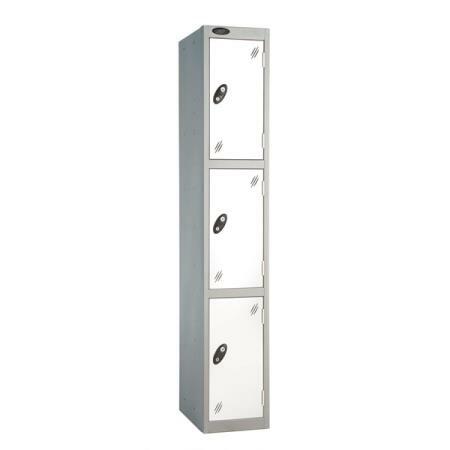 This makes the lockers much less likely to fall over. 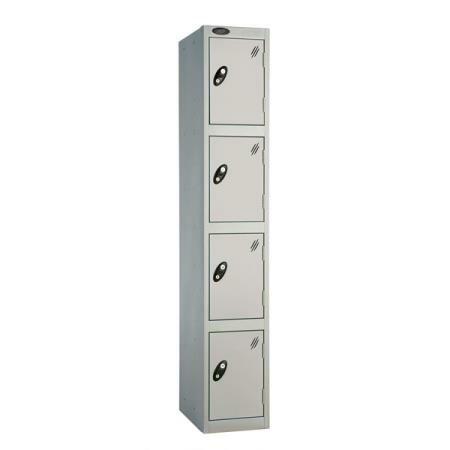 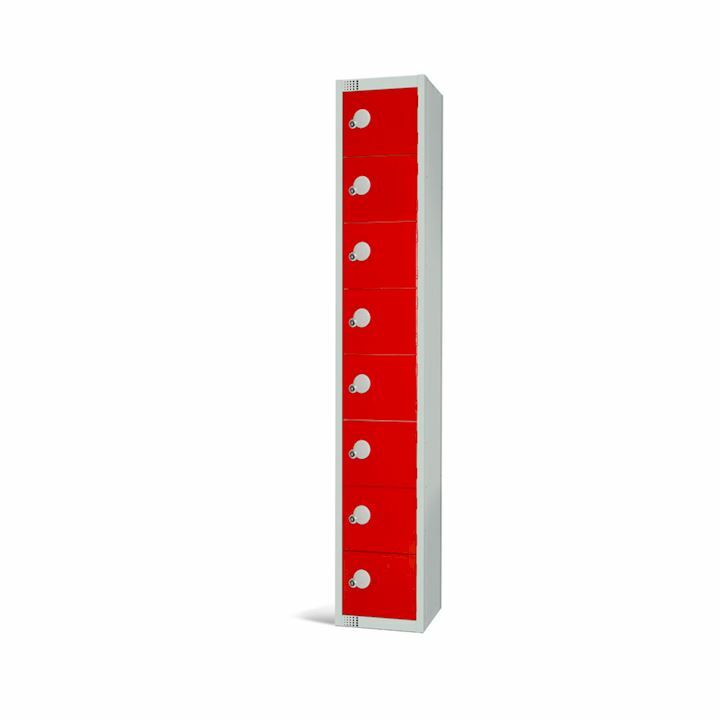 You can order lockers nested together in Nest 1, Nest 2 or Nest 3 wide to suit your layout. 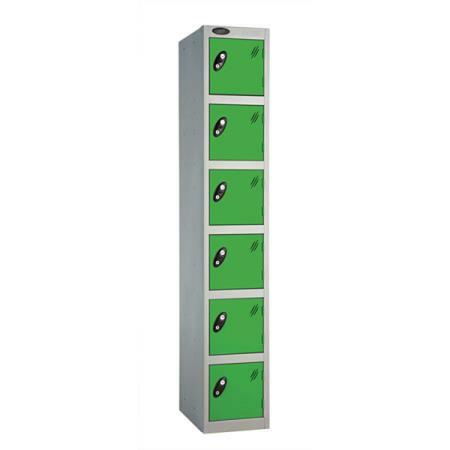 Nesting bolts can be provided upon request for further nesting of lockers on site. Wide range of locking options on our standard metal locker range from 3d Lockers. 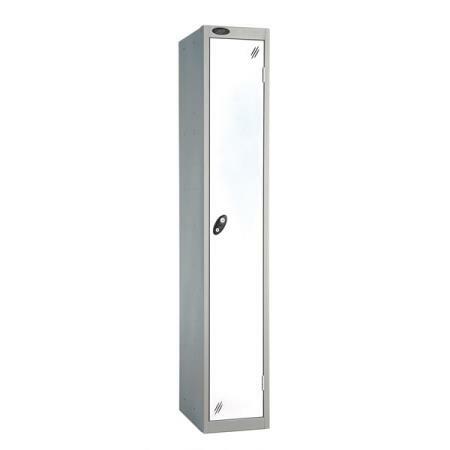 Contact us now on 01924 240291 for pricing on our locking systems. Our metal lockers come with camlocks with 2 keys per compartment or hasp and staple locks for use with your own padlocks as a no cost option. 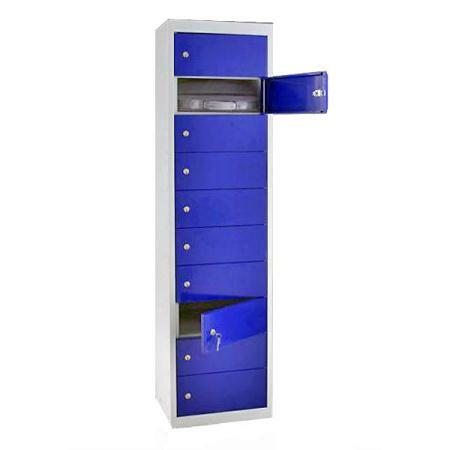 However we are also able to offer other locking options to include: Coin return locks, coin keep locks, scroll combination locks, digital combination locks.